Taste the most delicious bacon and cheese burger in Palm Coast, Fl by calling Hammock pizza or by ordering online. 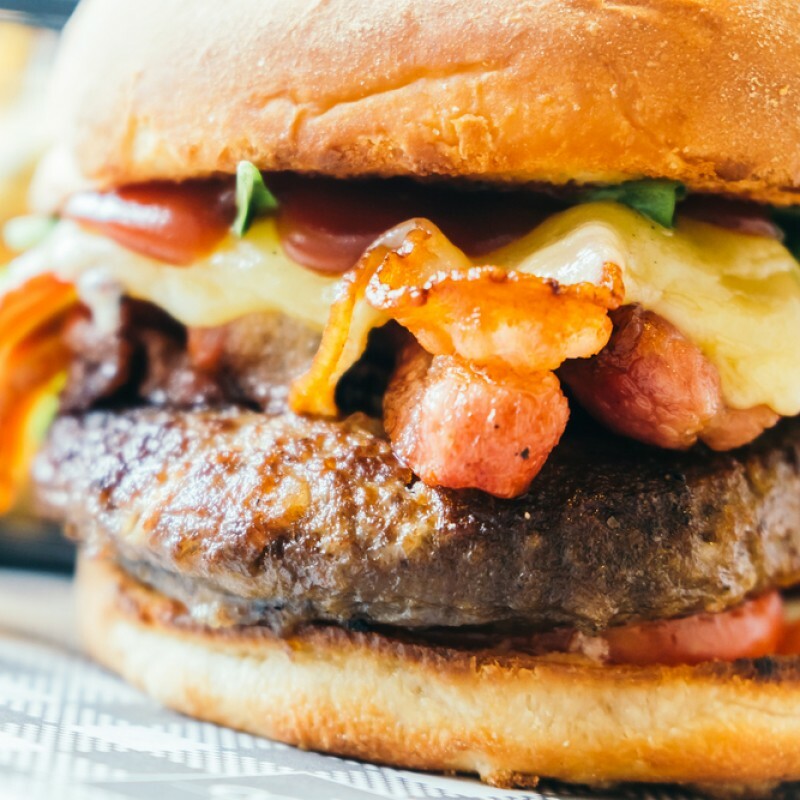 WIth Two strips of crispy hickory-smoked bacon make this thick and juicy burger even better topped with American cheese and served on our grilled Keiser Roll with fresh lettuce, tomato, and red onion makes our bacon and cheese burger the best in Palm Coast. We offer to take outs, delivery, pick up and also you can eat at our restaurant located at 5332 N Ocean Shore Blvd #1, Palm Coast, FL 32137 We provide $2 dollar flat delivery charge when you order with Hammock Pizza. We also make sure we deliver your burger hot and fresh. Try the best bacon and cheese burger in palm coast, Fl by ordering now.